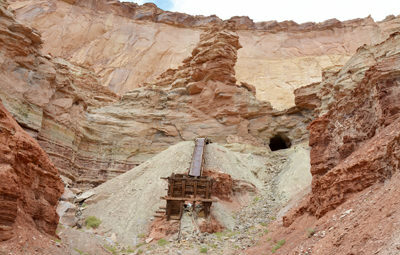 An abandoned uranium mine in Reds Canyon in the San Rafael Swell. Add tags for "An abandoned uranium mine in Reds Canyon in the San Rafael Swell.". Be the first. <http://www.worldcat.org/oclc/957353476> # An abandoned uranium mine in Reds Canyon in the San Rafael Swell. schema:about <http://www.worldcat.org/oclc/957353476> ; # An abandoned uranium mine in Reds Canyon in the San Rafael Swell.